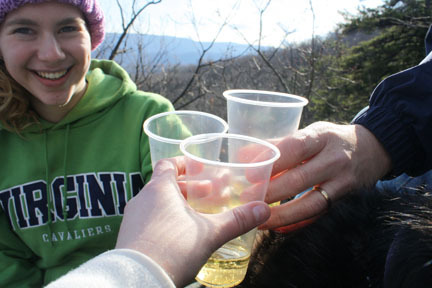 Every Christmas for as long as I can remember my family has gone on a day-after-Christmas hike in the Shenandoah National Park. Even when the temperature has creeped to the single digits, snow has hidden everything in the woods and even the animals know not to emerge from their warm homes, we bundle up for an adventure. This year though, with just an inch of snow keeping us blocked in at my aunt’s house at the bottom of a steep driveway (and a stomach bug keeping my dad in his pj’s on the couch), our annual December 26th trek was postponed. Jill was ready to get started on our hike! The day after New Years Day seemed perfect for this hike. No one was sick, most snow had melted and the sad-looking gray sky of Jan. 1 was starting to fade away to reveal a happy blue behind it. After our breakfast of English scones, we packed up a bookbag with PB&J’s, pretzels and water — and some dog food for Jill — and drove the 30 minutes or so to Catawba to take on Dragon’s Tooth. 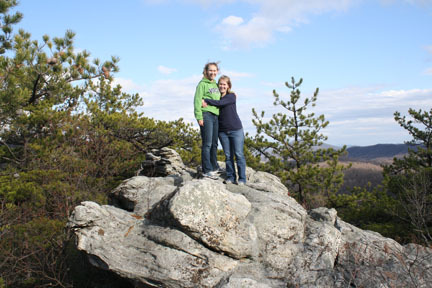 Traditional sister picture on top of the mountain. 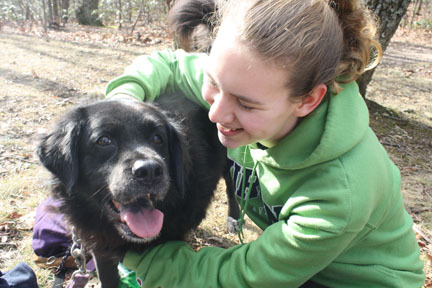 With our lovable 10-year-old pup tagging along, we weren’t about to climb what Hiking Upward described as “one of the toughest parts of the AT.” I think we’ve done it in the past, but the last time we took Jill on a semi-difficult hike she snored for days. The hike even without the final ascent is still not the easiest climb — and you have to be on your toes to watch out for any dragons or trolls that may be hiding along the way! Jamesons whiskey straight from Midleton in Ireland. Anyways, after Jill ran straight down a steep rock despite our attempts to help her navigate zigzag across easily (apparently her way was better), we walked along the ridge at the top of the mountain along a stretch of the AT before coming upon some rocks to sit on for lunch. 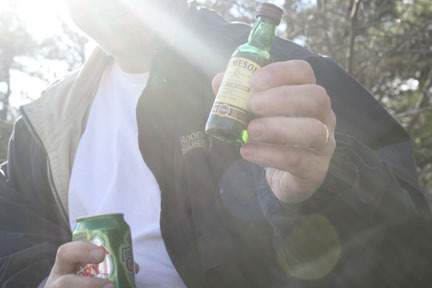 While absorbing the view as the sun began to hide behind the trees, my dad opens his bag back up and — ta-da, pulls out the airplane bottles of Jamesons and Bushmills straight from the Emerald Isle that my family had reluctantly tasted the other day. This time, we had ginger ale to mix with, which makes whiskey go down much easier and taste much, much better.